It's time again for me to review an act from a talent show - this time it's the X Factor. 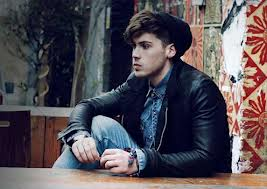 Aiden Grimshaw was a contestant in 2010 (the 7th series) and ended up being eliminated in week 6. 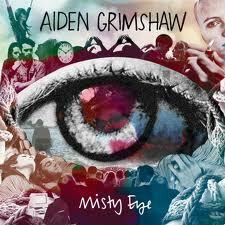 Over the last 2 years he's been working with top producers and writers to create and release Misty Eyes, his debut album. Was all the work he was doing worth it? What oppurtunities can this record create for the 22-year old X Factor evictee? When I started listening to this album, I honestly thought it would be another one of those manufactured pop albums, which are the kind of albums most people from reality shows produce. But I was pleasantly surprised. The first song, Hold On, has a sentimental but forgiving vibe about it, saying that if you can face your fears and forget the past, then you can accomplish anything. Is This Love?, the second song on the album, reminds me a lot of the sad songs that were on the radio years ago, with down-heartening lyrics and heavy drum beats, along with lots of unnecessary sound effects, is why that song is my least favourite. What We Gonna Be delievered something I really didn't expect; an X Factor contestant, rapping. Not only that, it was rap that I could actually understand, unlike most other artists who dabble in hip-hop and rap these days, who speak gibberish for most of their songs. Along with some good vocals and a fast, modern drum beat, this song is my personal favourite. The other songs on the album are like any other break-up album really, gothic and meaningful to people who are heartbroken and want songs to speak their emotions. One song to note, though, is Grimshaw's cover of Sia's Breathe Me, which brought a tear to my eye and shivers down my spine (in a good way) just like the original did. Overall, Misty Eye has a good mixture and balance of ballad and upbeat songs, which is essential for any album hoping to succeed. Saying that, the songs on the album don't show Aiden's true potential and I hope he releases new, refreshed material soon. I think this album is perfect for anyone going through a break-up, but not really perfect for any other situation, which is a bit of let down really, as I thought someone once on the X Factor would deliver more rounded-off material, touching on all aspects of life.